Sia Knight is the host of The College Savvy Radio Show. A weekly interactive radio show created to help busy families make sense of the college admissions process by sharing timely and relevant information. Sia's story is one of triumph in the face of adversity and achievement against all odds. This former teacher, counselor and administrator has transcended humble beginnings to become an educational specialist in one of the largest school divisions in the country. 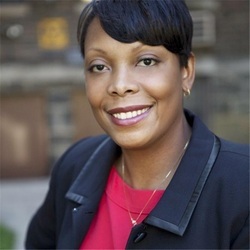 For over 15 years, Sia Knight has been using her no-nonsense style to educate and empower hundreds of students, parents and fellow educators.a former teacher, counselor and administrator that transcended humble beginnings to become an educational specialist in one of the largest school divisions in the country. She uses her unique combination of skills and experience to help parents plan, prepare and position their children for college admission. Sia Knight believes that it’s time to educate and empower parents about the college admissions process. Most people recognize that many opportunities are gained by obtaining higher education. Many parents, however, are overwhelmed and confused by the sometimes mysterious process known as college admission and have no idea how to help their children. By helping parents sort through the massive amount of information available to them, Sia Knight helps to open the doors to educational opportunity for their children.